A RTI has been filed to get insights into various phases of Chennai’s Solid Waste Management process from Source Collection to Dumping. Its been more than a month and Appeal has been filed. Then again no response from the PIO / FAA. Then we filed the Second Appeal and Complaint on the PIO / FAA in the month of October, 2013. We waited months, which lengthened to nearly a year to hear from Tamil Nadu Information Commission. But no response from any, even after a year. Actually, our Volunteer who filed the RTI and Appeals shifted home and so the probability of losing the letters, which will be sent to the old home and hence lost is higher. But all of a sudden, we got a call from SWM Engineer, Corporation of Chennai nearly a year after the filing of the Second Appeal. He told all the required information will be furnished and be given in a couple of days and we got a chance to update them with our current address. Then the next day, 2 Junior Engineers visited our home and handed over the required Information. 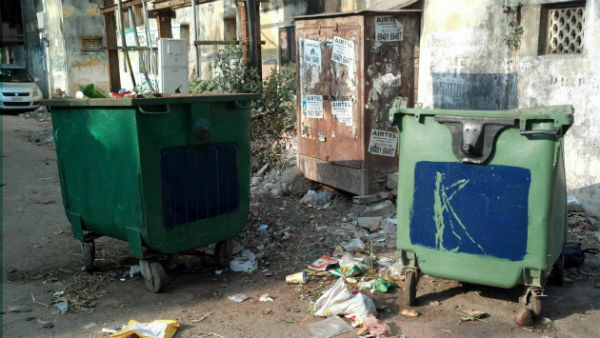 We had a discussion on the current state of Garbage collection, segregation process. Their only complaint being, though CoC initiates the segregation process, people are not segregating in home and hence it cant be effectively implemented ! The next day, the Senior Engineer, SWM, CoC visited our home and again we had a mini discussion. He told we are always welcome to their office and they assured to give any Information, if we just visited their office, rather than filing RTI. He gave his personal contact number and told to call up for anything related to Solid Waste Management. There is no segregation process employed. All degradable, non degradable wastes are dumped together, hence creating Toxic wastes. 22 sweepers employed to clean the streets of Zone 13, which include Guindy, Adyar, Velachery and others. 66 Garbage bins in Zone 13. Zero cases filed on those who urinate / spit in public in the year 2013.